LIVE HD Camera over Ka Satellite based IP Uplink via LiveU to BBC, ITV, ITN, SKY and all Major Broadcasters via an Auto Antenna based system, up time less then 2mins. Providing FTP uploads, Voip and Live HD via HDSDI with IFB/Cleanfeed. It’s a hot day in a hot workshop! 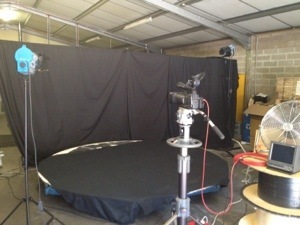 And we have to film a test shoot complete with rotating 3.5m stage and some hot lights, to test for the up and coming tv commercial shoot the following week in brand hatch! We are looking for women who no longer want to feel ‘Fine’ in life, but who want to feel FABULOUS! And what’s more, who want to feel that way FOREVER! Are you a woman who has tried all the diets, had a go at all the self help fads, but who still feels under confident and maybe a bit down in the dumps with life? Do you have dreams of something more? A new career? A new direction? Do you want more motivation? Are you fed up with the same old thinking that holds you back? Would you like to change your thinking into something that gives you results? Well Now you can! The TIFF Plan – Thinking I’m Fabulous Forever is no ordinary make over show. Think Gok Wan meets Kim and Aggie, with some life coaching and pampering thrown in. This really is a TOTAL make over for mind body AND soul. With her expert help, top tips, and with assistance from her Treat Team, Tiffany will guide you through her 4 Step plan and help transform your thinking to turn your life from Fine to Fabulous Forever. Off The Planet TV was once again commissioned to film, produce and edit the 15th Cage Fight from the Strength and Honour group, this was filmed in full HD on 2 cameras the Canon Xf305 and the XF100, live at the fight venue at the Exmouth pavilions in Devon, the XF305 was used for all the close up work ring side and the XF100 was locked off and took audio feeds from the ring side commentators. There is always a few set up at the being of the event, the fighters are interview back stage, this is used in the production of the DVD inter-cut with the fight footage. The footage is edited back at OTP HQ and a fully produced DVD is ready for sale with in two weeks. We supplied cameraman and Director Dan Rose to Cube Creative to film and direct the cast and crew of the 60 plus performance, on the dress rehearsal day (Sunday 18th November 2012) we were able to use some cast for some specially produced pieces to camera directed by Dan, the following day Dan was able to film and get the reactions of families and the children on this magical experience… Filmed in HD on Canon XF305 and edited the following day at OTP’s HQ. 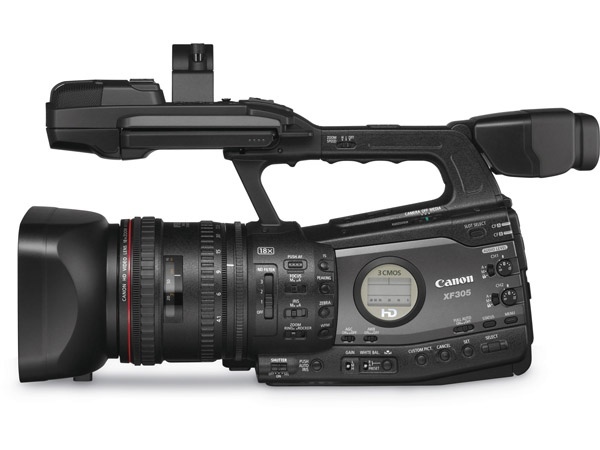 The new canon xf305 and xf100 are full hd and BBC approved cameras this means that you can make a programme just using these or this camera for broadcast. Off The Planet Productions have been busy working hard on a number of TV commercials (58 in total) for The Manor House and Ashbury Hotel, Golf Holidays, Craft Holidays, Sporting Holidays and Tennis Holidays have been covered in this new range of adverts… Because the complex is constantly changing so the adverts have to be changed on a regular bases, the adverts show on over 30 different channels, from sports channels like Sky Sports to entertainment channels like DAVE and even childrens channels…. On the 30th July at Exmouth Pavilions in Devon Off The Planet TV was commissioned again to film and produce this events Live event and post production for the DVD and the sales of the DVD afterwards….